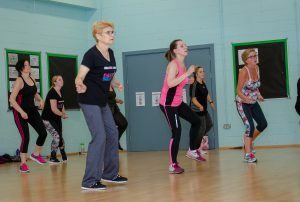 Dance Fit is a fitness class with a dance element using easy to follow routines to up to date chart music. Dance Fit is a fun, high intensity, all over body workout incorporating dance moves as well as traditional aerobic exercises. 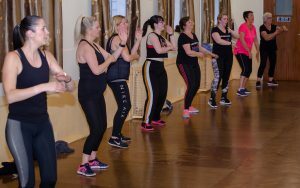 Can Dance Fit help me lose weight and get fitter? Most definitely. The key to burning calories is moving the whole body which is why dance is so effective as your doing just that. Some of my dance fit routines focus on cardio and others focus on toning legs, bums and tums! Do I need to be any good at dancing? No! 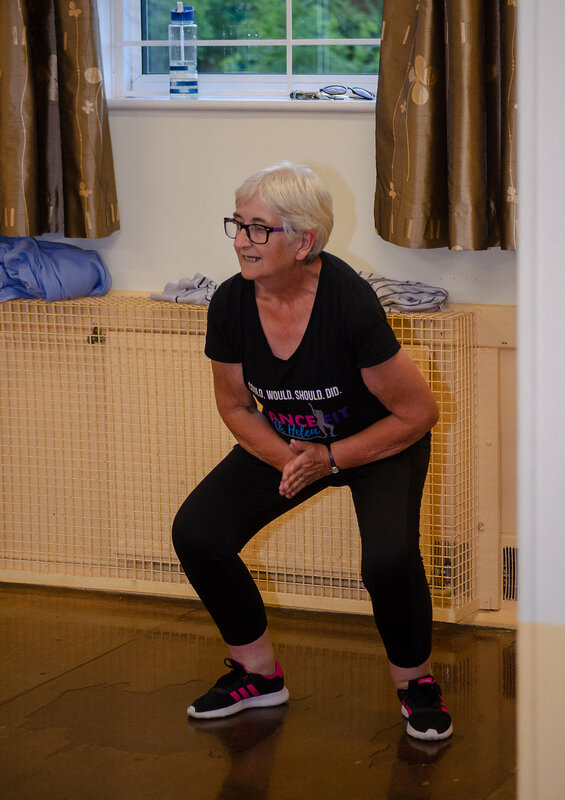 The aim of the class is to turn exercise from a chore into something to look forward to. Does it matter if you end up on the wrong foot or go the wrong way? NO! Just keep moving, follow me and you’ll keep sweating which is the important bit! Just like hitting the dance floor at a party, you don’t have to be a trained dancer to do it. Do I need to be young and fit? I get this question a lot! I have women in my classes who are in their teens, twenties, thirties, forties, fifties and sixties. 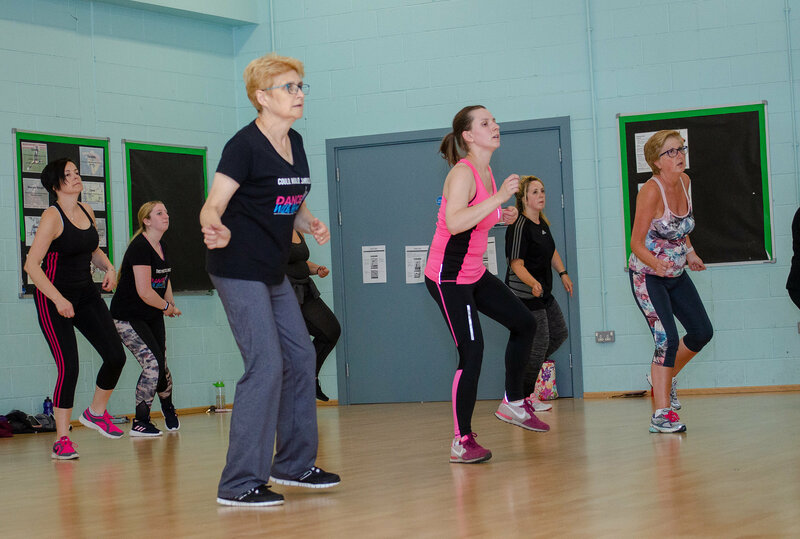 Dance Fit is for all ages and the great thing is you can tailor the routines to your ability. You don’t have to be fit to start out, the idea is you will get fitter by coming to class! If I were to describe my classes in a few words I would say fun, friendly, energetic, vibrant, and young at heart. At Dance Fit we definitely don’t take ourselves too seriously! Every class has a great sense of camaraderie and is full of lovely and supportive people. Everybody there has the same struggles and goals! Everybody is in the same boat and is there for the same reason – to get fitter, healthier and enjoy themselves. What are the benefits of dance compared to others forms of exercise?